Music, and folk music in particular, is often embraced as a form of political expression, a vehicle for bridging or reinforcing social boundaries, and a valuable tool for movements reconfiguring the social landscape. 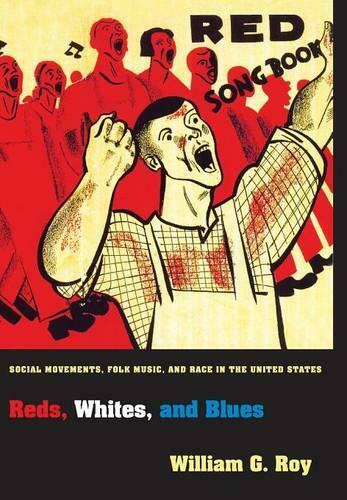 Reds, Whites, and Blues examines the political force of folk music, not through the meaning of its lyrics, but through the concrete social activities that make up movements. Drawing from rich archival material, William Roy shows that the People's Songs movement of the 1930s and 40s, and the Civil Rights Movement of the 1950s and 60s implemented folk music's social relationships--specifically between those who sang and those who listened--in different ways, achieving different outcomes. Roy explores how the People's Songsters envisioned uniting people in song, but made little headway beyond leftist activists. In contrast, the Civil Rights Movement successfully integrated music into collective action, and used music on the picket lines, at sit-ins, on freedom rides, and in jails. Roy considers how the movement's Freedom Songs never gained commercial success, yet contributed to the wider achievements of the Civil Rights struggle. Roy also traces the history of folk music, revealing the complex debates surrounding who or what qualified as "folk" and how the music's status as racially inclusive was not always a given. Examining folk music's galvanizing and unifying power, Reds, Whites, and Blues casts new light on the relationship between cultural forms and social activity.